Matt won the X Factor in 2010. He released his single When We Collide and now has an album called Letters. His new singles from the album are Run For Your Life and Stardust. 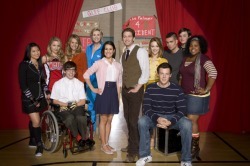 Glee is a music TV show that started in the UK in early 2010. The songs they sing are their own take on famous songs alreday released.